Jota Sport’s victory in the Le Mans 24-hour LMP2 race could not have been more dramatic had it been scripted. From team founder Simon Dolan’s sickening smash at Silverstone just six weeks before Le Mans; to the unexpected loss of lead driver Marc Gené a couple of days before the race, followed by the late surge to the checkered flag, it was a story that had everything. That was a stroke of good fortune for first-time filmmaker Charlotte Fantelli, who was given behind-the-scenes access to the team throughout the season. 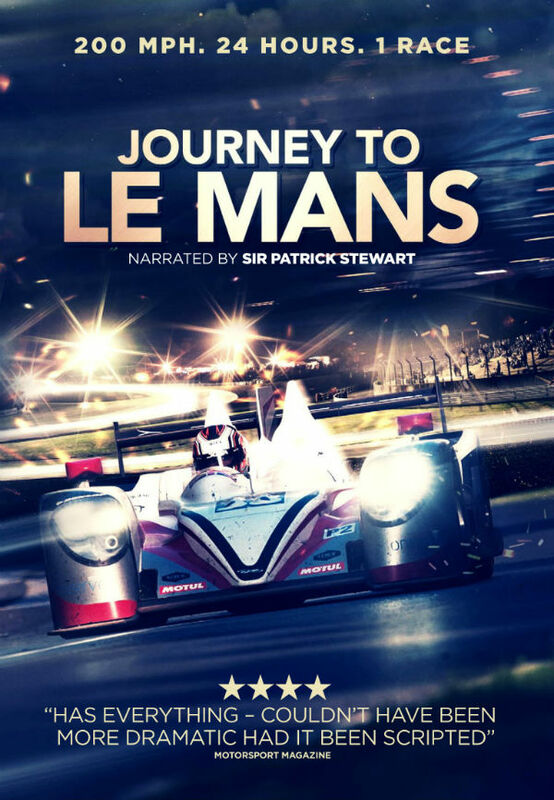 Her 90-minute documentary, ‘Journey to Le Mans’, out next week, gives a unique insight into motorsport’s toughest race. When Dolan, 44, slammed head-on into a wall in the first race of the season, his support team lost contact with the car and for fully 40 minutes did not know whether he was dead or alive. The cameras capture their anguish; for Fantelli, who has known him for many years, it was an unbearable time too. “The film is led by character and emotion, we lived it and breathed it,” she says. Dolan reveals in the film that he seriously considered quitting the sport. Recalling the crash, he said: “I knew exactly what was going to happen and there was absolutely nothing I could do about it. It’s the first time I have ever been genuinely scared in a car”. But after deciding to continue in his quest for a first Le Mans title, which had eluded him three times, he returned to the car – miraculously re-built in just two weeks by his team – in the next race at Spa, where he had to prove he had not lost his bottle. Exeter speedster Harry Tinknell; the charismatic Filipe Albuquerque; and the amateur Dolan. The film captures the unique week-long spectacle of Le Mans, an extravaganza of colour and noise, but draining for the teams too. Then, when Gené suddenly has to return suddenly to Audi, with just 12 hours to find a replacement, 2013 driver Oliver Turvey is dramatically recalled, flying in at 6am two days before the race. We see the drivers, backed by their support team, pushing themselves to the limit during more than 3000 miles of racing at speeds of over 200mph, driving at full throttle for 85% of the race, through day and night. The story of how Charlotte Fantelli came to make the film is as remarkable as the climax at Le Mans itself. With no previous film-making experience, she successfully pitched the idea to ITV’s Head of Sport, attracted investors, taught herself the art of producing and directing, raised almost £400,000 to make the film and persuaded some of the industry’s biggest names to work with her for nothing. “I had to learn as I went along, it was sheer bloody-mindedness that got through me it,” she says. “If I had known at the beginning what it would involve I would never have done it, but the secret was never compromising and making people believe in the film as much as I did”. Charlotte, who is married with a seven-year-old son, put every penny she had into the project. Now, she is set to earn her reward. The film is being premiered at London’s Leicester Square on November 11th and screened simultaneously in more than 50 Vue cinemas across the country. A 45-minute cut will be broadcast on ITV4 on November 24,th, and the full-length film will be released on DVD the same day. The film has already been bought by dozens of TV stations overseas.